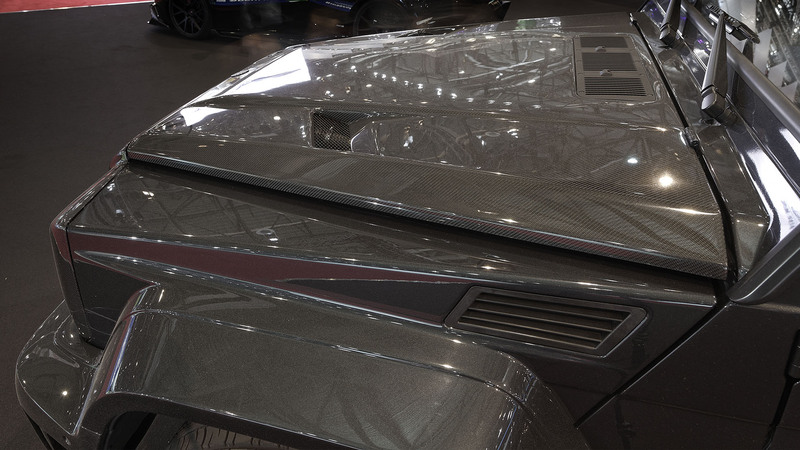 For 2016 renowned tuner DMC returns to Geneva in style, showcasing two totally different cars that have been modified with the same basic idea in mind: “making good things better”. 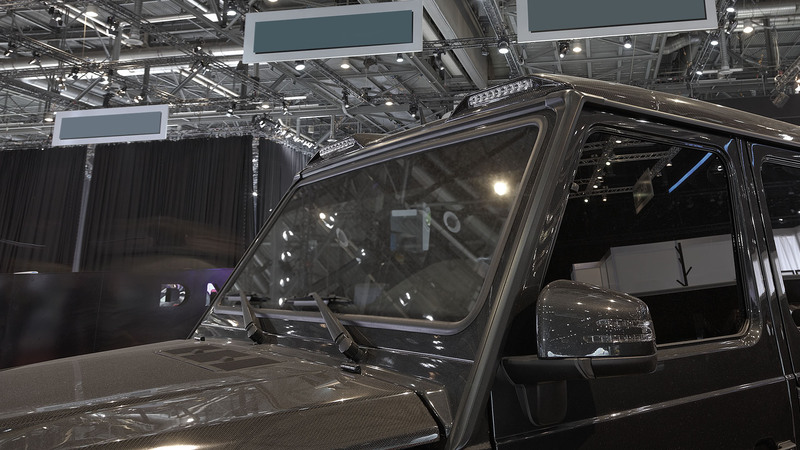 There will be two cars on stand 2050 in Geneva this year, the massive G63 Zeus and the lean Huracan Jeddah Edition both couldn’t be more extremely apart from each other: Zeus is a tall and big SUV while the Jeddah Edition is a super car in every meaning of the word, what’s even more impressive is the fact both boast a completely black livery from top to bottom. 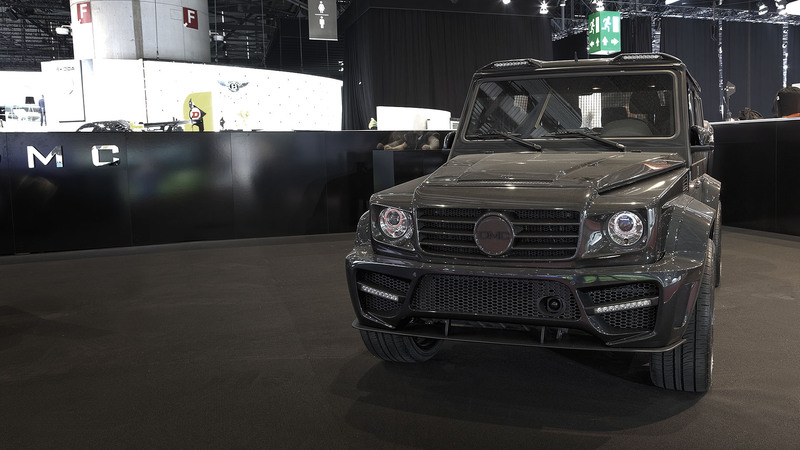 The new 2016 DMC kit for the Mercedes G63 is a complete package from front to rear, including a massive front bumper with additional driving lights and optional splitter to make her look even more intimidating. 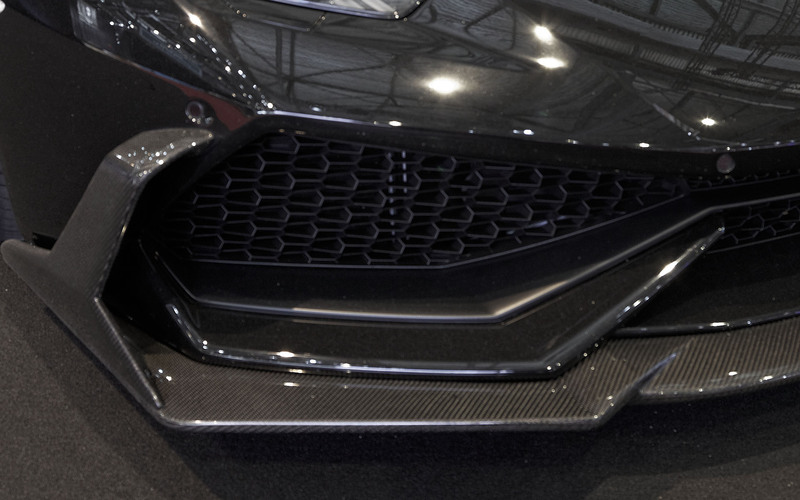 Do note this front bumper is part of the complete kit, you will have to install the stupendously beautiful looking wheel arch extensions too. 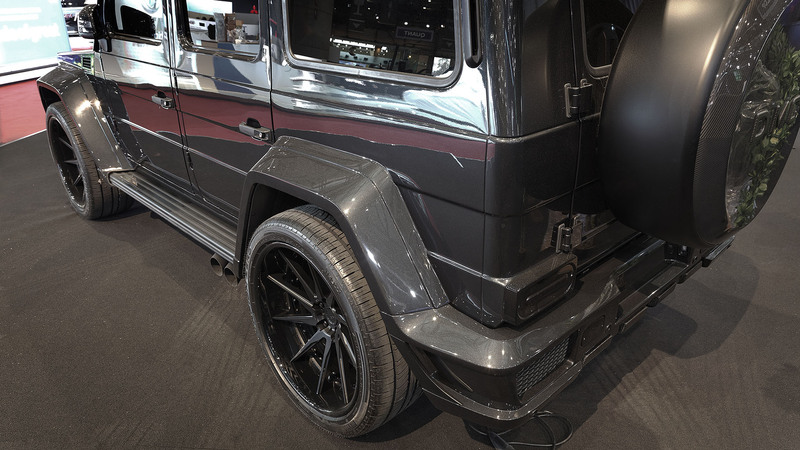 These will add 4cm at the rear and 3.5cm at the front for that ‘ultra wide’ look on the Mercedes G-Wagon while the new DMC rear bumper changes the style of the original car for the better, with the add-on rear diffuser being the ultimate option, naturally all parts are available in clear carbon fiber or in CFK meant for painting. 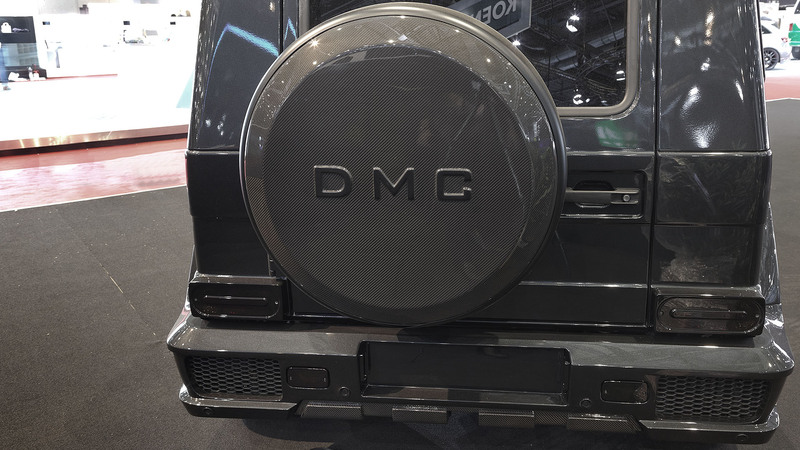 But the transformation offered by DMC isn’t done yet, some of the best parts are yet to come, how about a new, more aggressive looking engine cover, in carbon fiber naturally, and while we are adding options to the DMC Zeus you just have to include the custom made DMC front fascia that replaces the original factory unit and really makes the G-wagon look mean when it comes up in your rear view mirror. 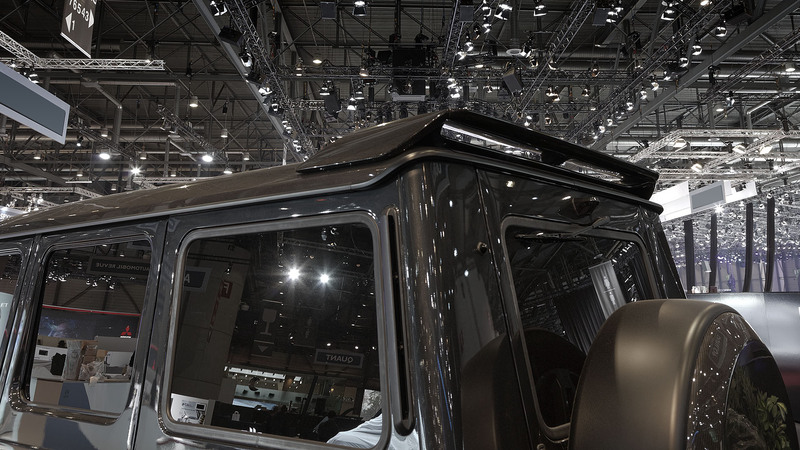 When you do opt for the new engine cover you should also consider the DMC roof cover, available in carbon fiber or CFP, this roof cover includes a pair of ‘Safari’ style LED units up front that dial in perfectly with the LED driving lights in the DMC front bumper, amazing attention to detail has gone into creating the overall look of the DMC Zeus. 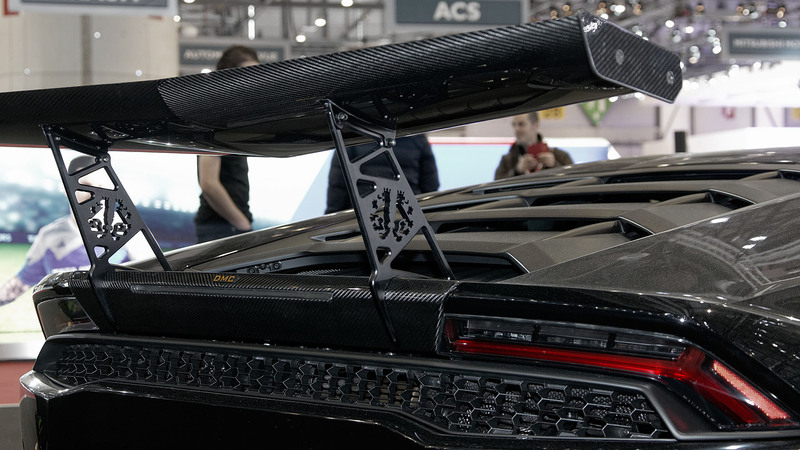 Together with the roof cover option you absolutely need the DMC roof wing for that added touch of aggressiveness while the clear carbon fiber spare wheel cover is the finishing touch, complete with DMC logo. 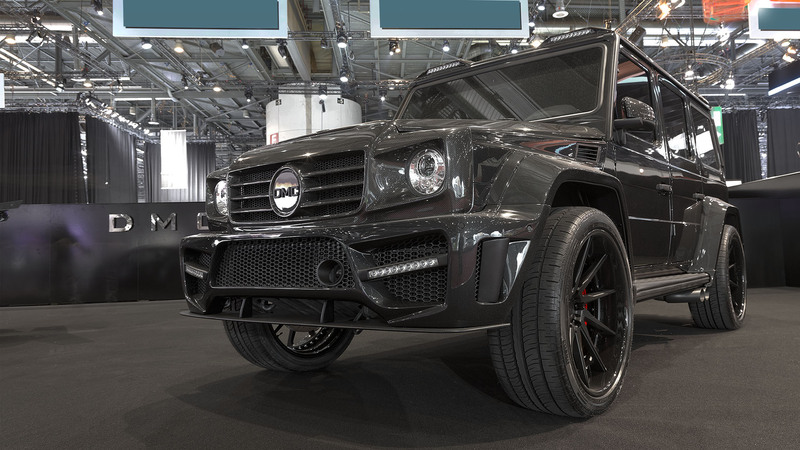 On a black car like the one unveiled during the 2016 Geneva Auto Show a set of massive black wheels complete the intimidating look of the 2016 DMC G-Wagon, the wide wheels show a stunning, concave design that fits the style of this black SUV, 24 inch tall with massive 305/35ZR24 Pirelli P-Zero Scorpion tires. Add the dark tinted ‘privacy’ style windows and the 2016 DMC Zeus is the perfect car to draw attention, but still keep that mystery vibe by hiding in the luxurious interior. 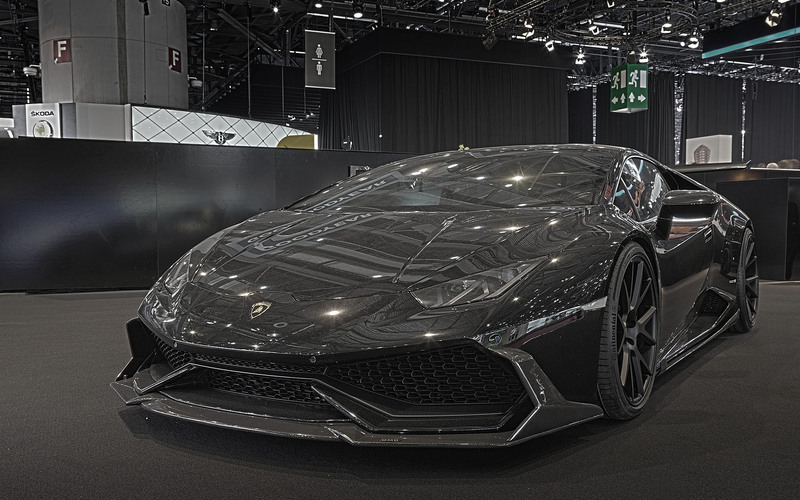 Next to this black mammoth DMC shows the stunning Huracan Jeddah Edition in Geneva, also finished in sinister looking black, this Lamborghini based exotic barely reaches up to the exterior rear view mirrors of the DMC Zeus, but this V10 surely isn’t less attractive with her clear carbon fiber aerodynamic parts installed. 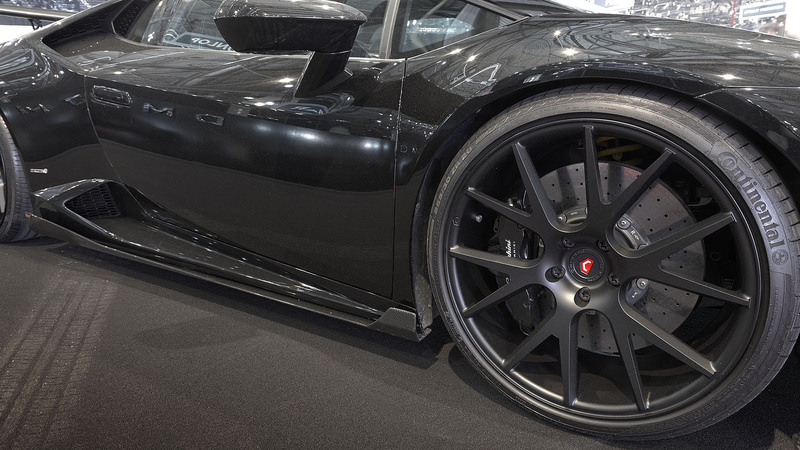 Up front we notice the addition of a lower fin to the factory bumper, but also the two vertical fins that direct air better to the sides of the DMC Huracan Jeddah Edition with the nicely styled side skirts with the small vertical fin at the front and a larger aero style fin just in front of the rear wheels. 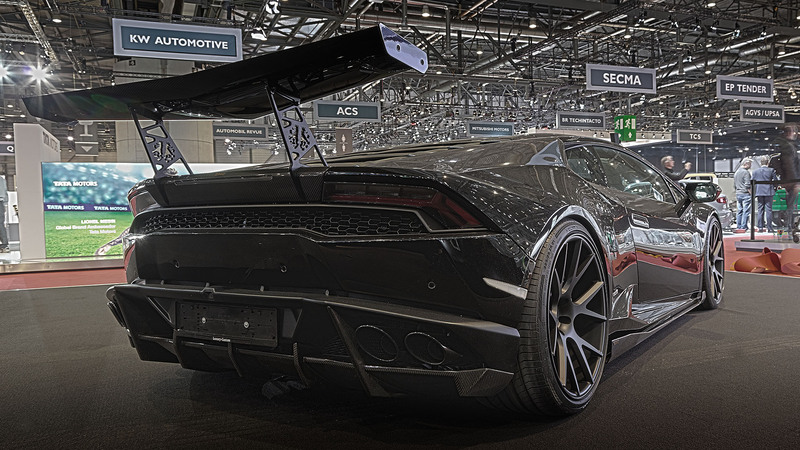 Naturally DMC also offers an impressive rear lower diffuser for the Lamborghini Huracan, while that Countach inspired rear wing we first saw on the limited edition ‘Omaggio’ seen last year has made a return on this black Jeddah Edition, the angular style of this specific rear wing blends in nicely with the overall Huracan design. 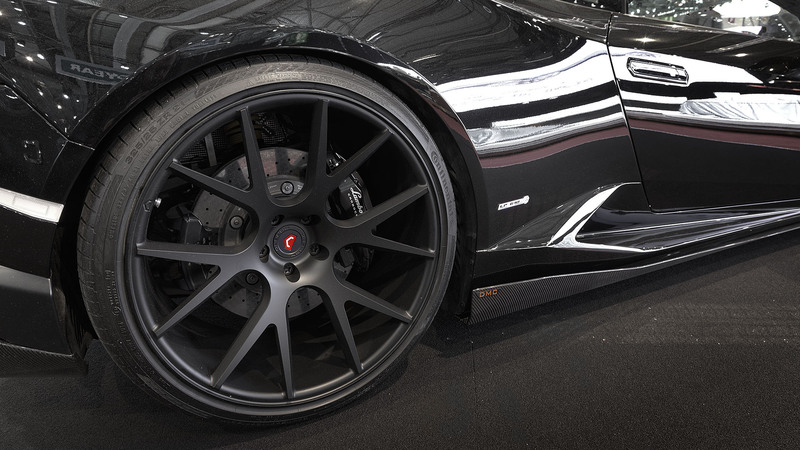 The massive, black Y-spoke wheels certainly complete the look of this DMC Huracan Jeddah Edition, 20 inch up front and 21 inch at the rear with wide 255/30ZR20 and 325/25ZR21 respectively. 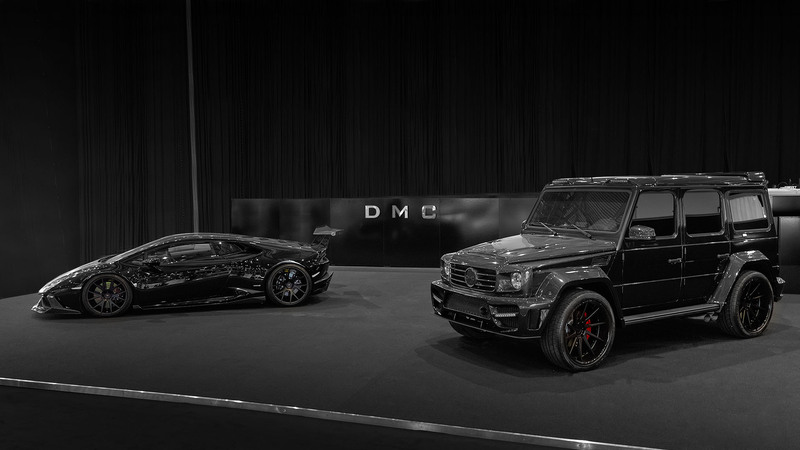 Add the black brake calipers and the ‘blacked-out’ look is a total package in this case, the two black DMC beauties at the 2016 Geneva Show surely draw a lot of attention. 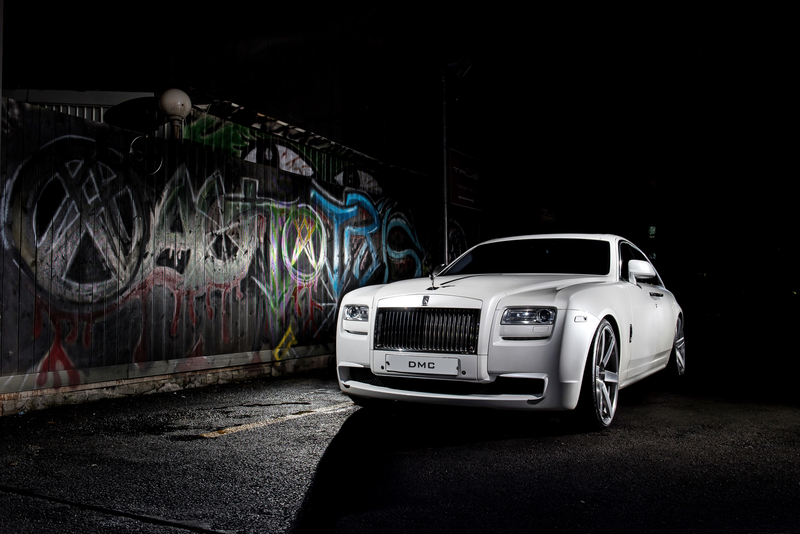 The Rolls Royce Ghost “SaRangHae” Edition was exclusively developed for Asia Prince Jang Keun Suk by DMC. The singer who is a super star in Asia and beyond has millions of fans around the world. 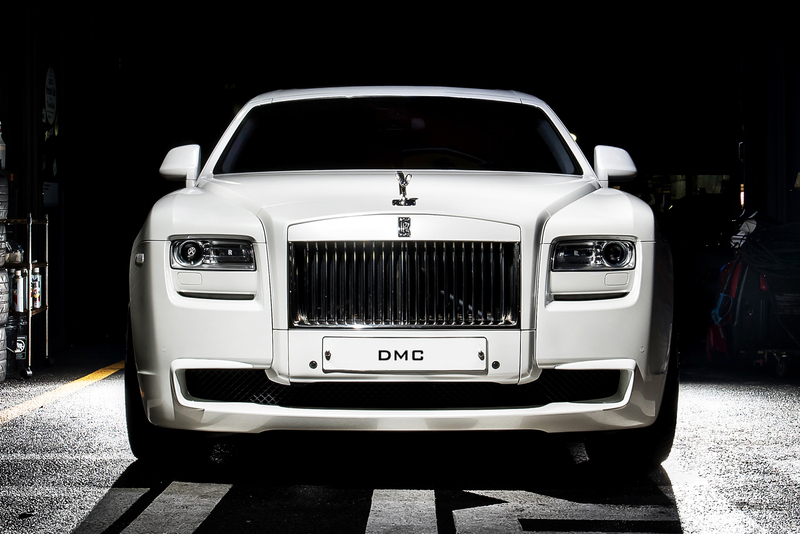 He is however himself a fan as well, a fan of Luxury Refiner DMC. What started as a passionate commercial project, eventually became friendship between DMC and one of the most creative musicians currently alive. SaRangHae or 사랑해 in Korean, means love, the strongest of all feelings. What better name for a car that combines the best of German engineering for a Prince that is loved everywhere? So how do you refine a Rolls Royce, a car so royal and bespoke that the normal human would most likely never even get the chance to touch or sit in it? The trick was not to over-do it, let’s not forget it’s still a Rolls Royce we’re talking about here, and DMC seems to have done the job right: Additional trims on the front fascia present a subtle start in making the car look out among others. The sides feature a straight lined skirt that stays in line with the original design, continuing the idea of under-presence. 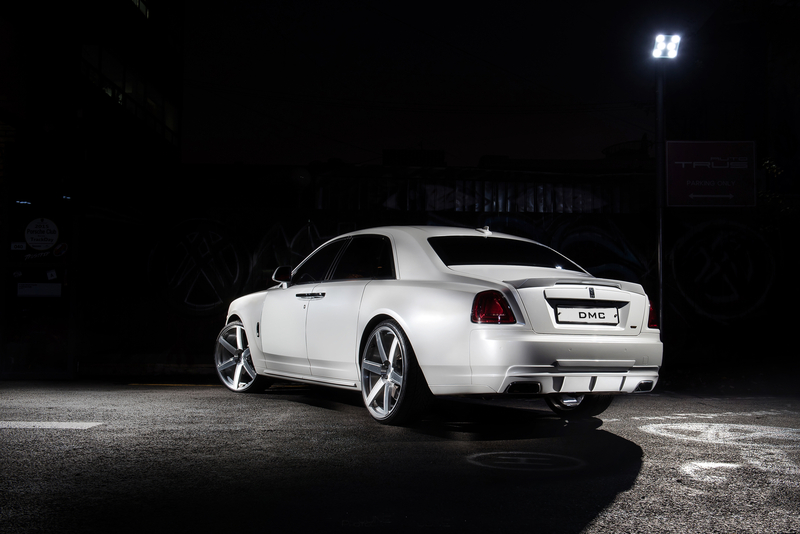 The rear however features a new trunk spoiler, a rear trim and an under diffuser which adds an aggressive touch to the royal car, but in a gentleman way. Grand is also the performance package which features a revised ECU and high performance exhaust system. Thanks to these modifications, the twin turbo V12 can now produce an additional 70 PS and 80 Nm. On the German Autobahn this enables you you travel at an increased top-speed of 295 KM/H, and the 0 to 100 is done in 4.5 seconds. 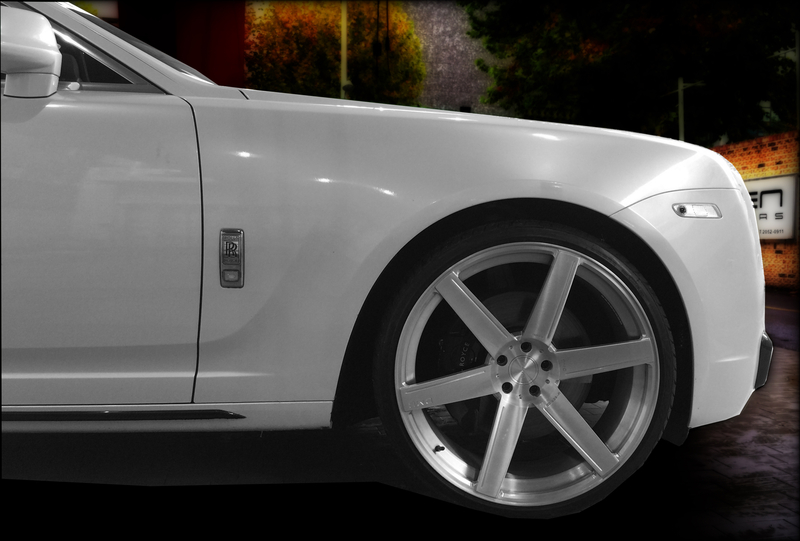 The body package and performance kit is supported by new wheels as well. And they are…. well huge. 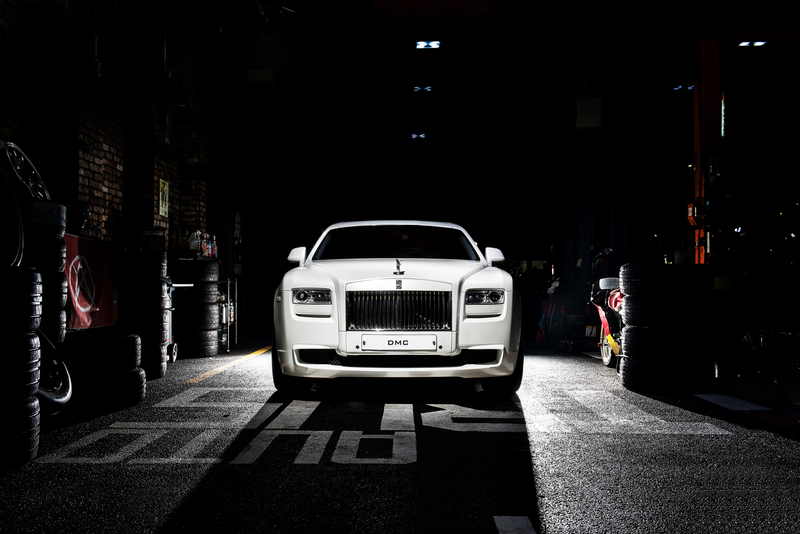 The diamond forged rims carry the Rolls Royce on 24” sizes and Pirelli tyres. 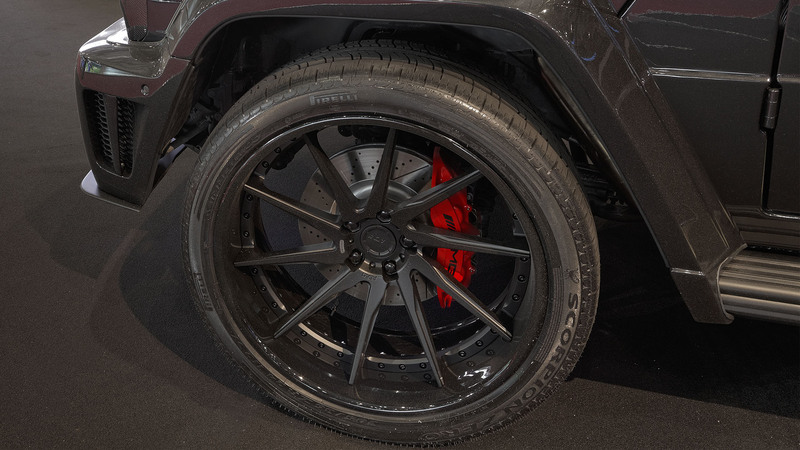 In case you are rubbing your eyes: Yes these are the same wheels that DMC put on their recent wide body G Class G63 Zeus. 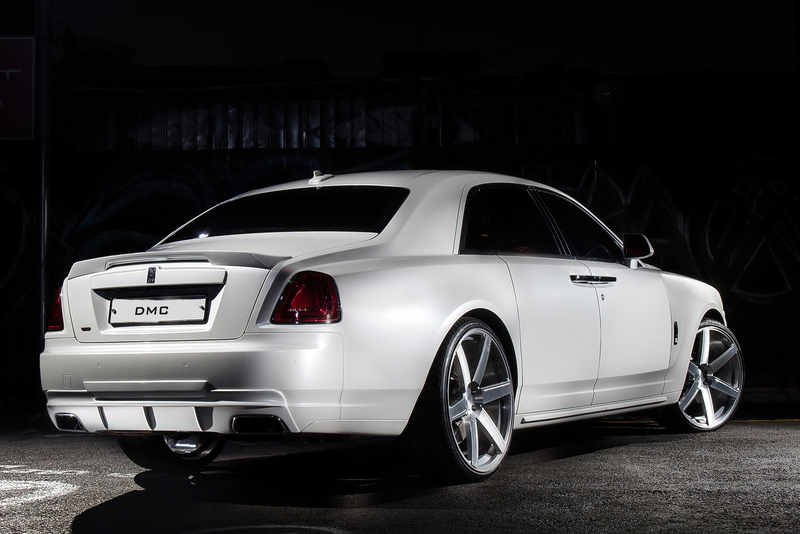 DMC has not only managed to make the wheels fit, they were also able to do the impossible, to make this mega sized rim look stunning on a Rolls Royce. How did they pull it off? Well the car had to be modified in the wheel housings to ensure a continued smooth ride and steering ability, but the sheer thin rubber tyre also helped a lot. As for the interior, the client’s requests dictate a fully custom list of possibilities. Italian leathers, rare materials like Sting Ray and trims of carbon fiber can be applied on any location as each individual sees fit. Due to client’s special request we can’t show you any interior shots, but rest assured it looks stunning and out of this world.